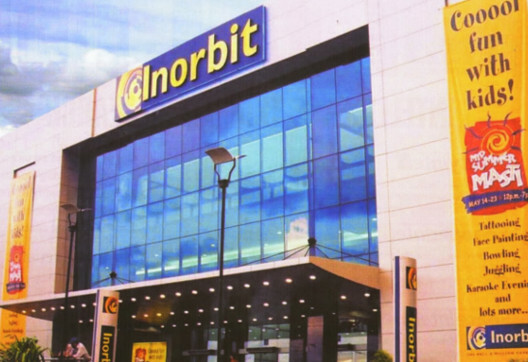 Inorbit Mall strategically located near Vashi railway station, Inorbit is known to be one of best mall in Navi Mumbai. This mall has a universal class and appeal and proves to be a one-stop destination for fashion, lifestyle, food and entertainment. With additional space for parking facility for atleast 2000 cars, this place promises to offers a delightful shopping experience to customers of all ages. 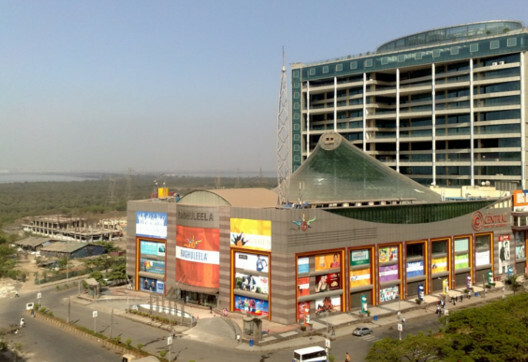 Raghuleela Mall is a regular spot for many shoppers in Navi Mumbai. From branded clothes or discounted apparels to kitchen essentials, artefacts, jewellery shops, cinema hall to a kids playing zone, this mall has everything that’s hip and happening. Spacious and conveniently located near Vashi railway station, this mall is a wonderful place to hangout with friends and family. 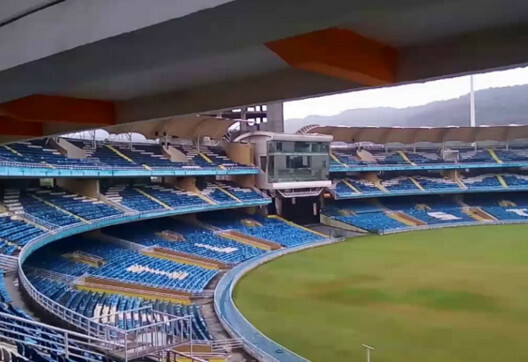 D Y Patil Stadium is a cricket stadium located in D Y Patil Vidyanagar campus in Navi Mumbai. 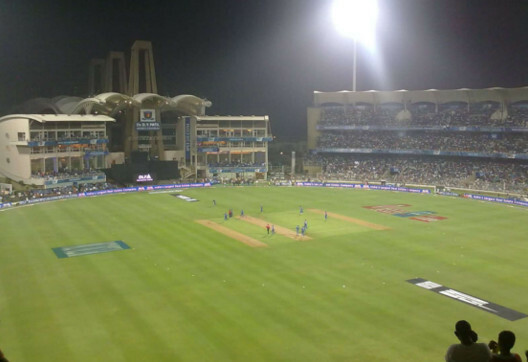 Designed by one of India's renowned architects, Hafeez Contractor, this stadium has all the facilities available in an international cricket stadium. Furthermore, this stadium has 9 tennis hard courts, 4 indoor badminton courts and swimming pool, among others. The stadium can accommodate up to 55,000 visitors at a time. Apart from this, the stadium also has a unique cantilever roof, thereby eliminating the requirement of a support. This feature provides spectators an unhindered view of the match from any place within the stadium. This stadium has been the host for many IPL matches. Another unique fact about the roof of this stadium is that it is India's first and largest fabric roof and the fabric used for the roof was imported from Germany. For the convenience of spectators, spacious bucket seats along with two LED screens which are the biggest in India have been installed. 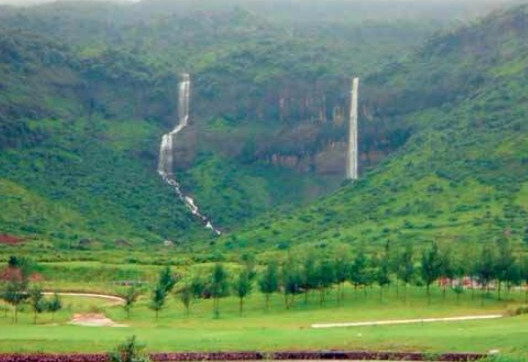 Pandavkada Falls is a waterfall located in Kharghar, the suburb of Navi Mumbai. According to legend, the Pandavas once visited this place and took bath in these falls during exile. This waterfall is approximately 350 metres high, from where the water hits the surface of the rocks with force equivalent to a piercing bullet. 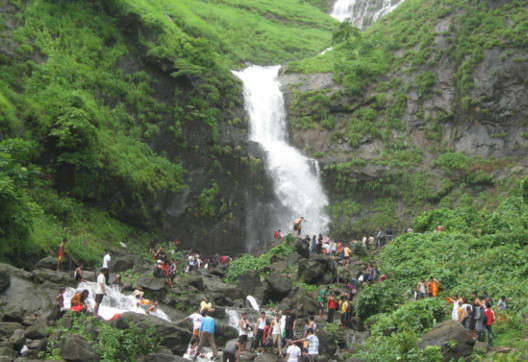 This waterfall is a popular picnic spot, rendering an escape from the hustle and bustle of the crowded city. It also houses Buddhist Caves that attract various travellers coming to the region. The ideal time for visiting this waterfall is the monsoon season, which commences in June and lasts till early September. 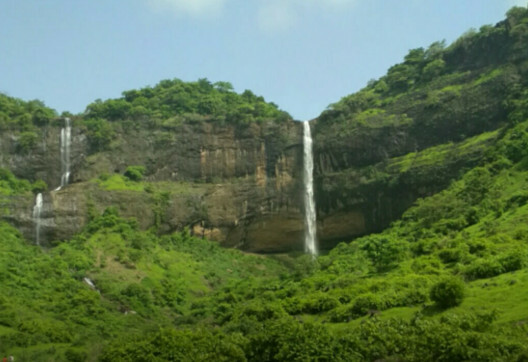 CIDCO has declared this waterfall as a dangerous spot for swimming, due to the drowning of many school students. This location is easy to reach by local trains operating on the Harbour Line and Trans Harbour Line. Auto rickshaws can also be availed from outside Kharghar Railway Station to this waterfall. 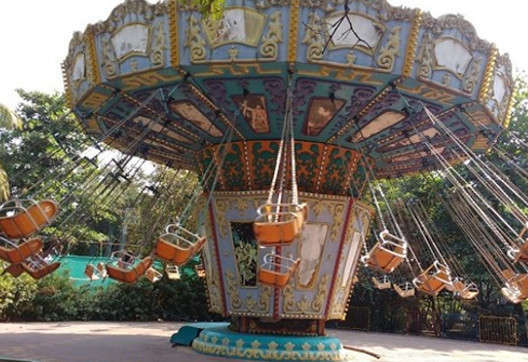 Tikuji-ni-Wadi is an amusement park located in Thane. 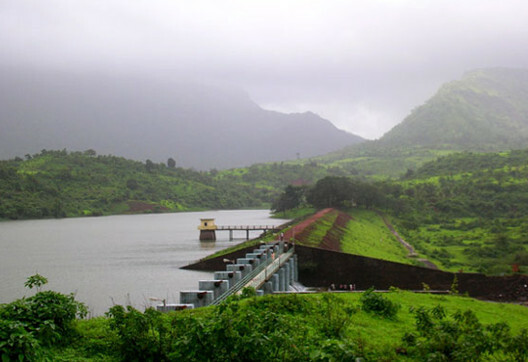 It is situated at a distance of 25.8 km from Navi Mumbai. 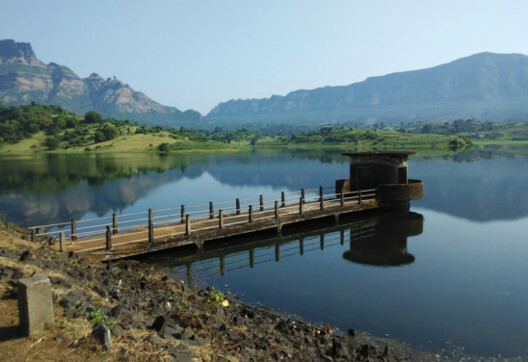 Established 30 years back by Late Shri Pravinchandra A. Parekh, it has been approved and recognised as a tourist attraction by the Tourism Department, Government of Maharashtra. 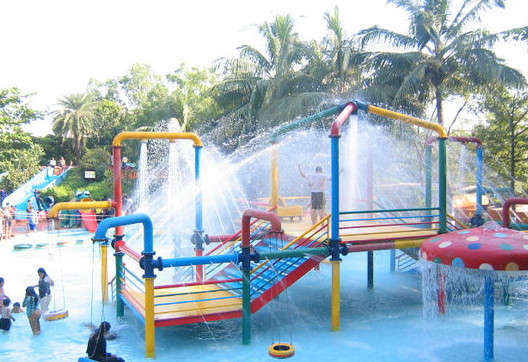 There is a water park called the Ocean Park present within the amusement park, which is known for its pools and water slides. The amusement park has rides like go-karts, bumper cars and giant wheels. The unique characteristic of this amusement park is that it does not include difficult rides like roller coasters. Within the premises, there is a Shiva Temple and marriage halls. During the festival of Shivaratri, the idol of Shiva is carved using ice. 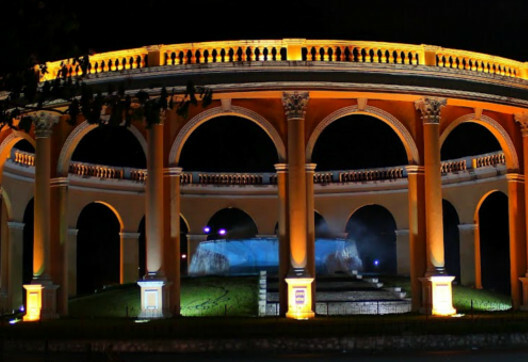 The park can be visited throughout the year, except monsoon season. 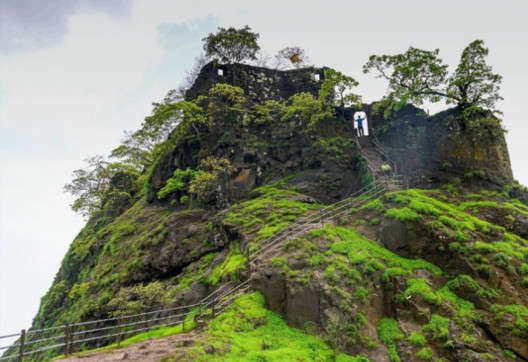 Karnala Fort, also known as Funnel Hill, is essentially a hill fort located in Raigad District that is around 10 km from Panvel. 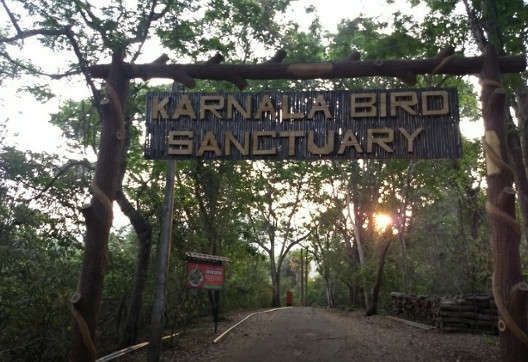 It is situated within the protected space of Karnala Bird Sanctuary and provides an ideal trekking trail inside the sanctuary. This fort was strategically important, as it overlooked the Bor Pass, connecting the Konkan Coast with interior Maharashtra. It was also an important trade route between these two regions. It is believed that this fort was constructed in 1400, during the rule of the Tughlaq rulers, who succeeded the Devagiri Yadavas. During this time period, Karnala was the capital city of the North Konkan District and was taken over by Nizam Shah of Ahmednagar in 1540. This fort was occupied by many over the years, including Shivaji, Mughals and Peshwas. In the year 1803, the fort was in the hands of Bhaji Rao. In 1818, this fort came under the control of British till Indian independence. 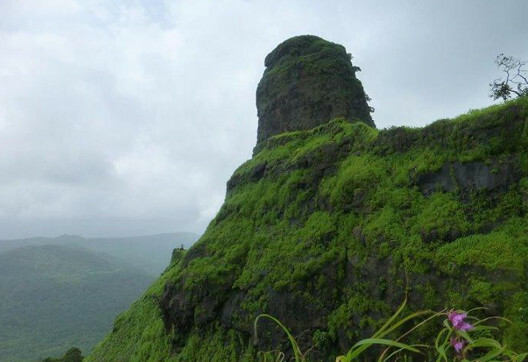 The centre of the fort has a 125 feet tall basalt pillar, which is also called Pandu's Tower. This building was used as a watchtower; however, it is in ruins at the moment. 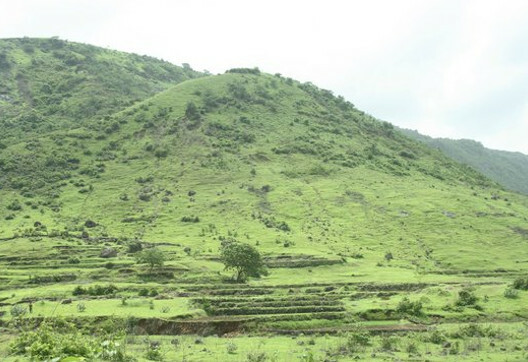 The fort has a steep rock in the middle of green surroundings, which is quite popular with trekkers. Apart from this, the doorway of the fort is decorated with carvings of elephants and tigers. In addition to this, several naturally developed water reservoirs can also be spotted. 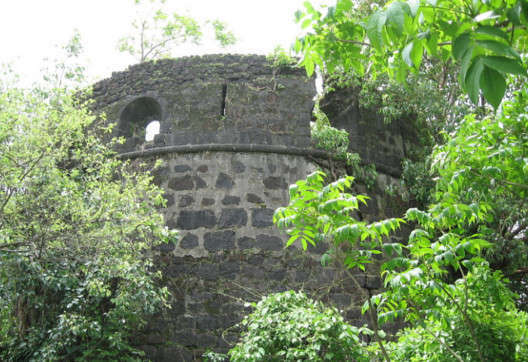 The Belapur Fort, located near the town of Belapur in Navi Mumbai, was built by the Siddis of Janjira. However, it was later conquered by the Portuguese and then by the Marathas. In the early 19th century, the fort was captured by the British. After the British took control, the significance of the fort declined and was not used. 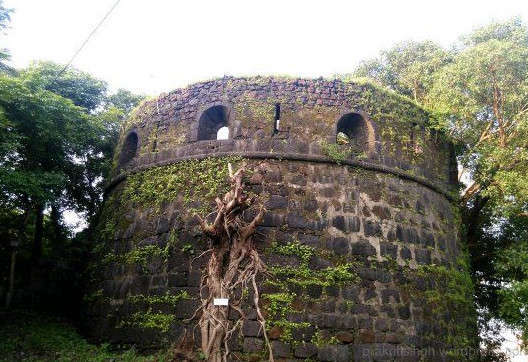 This fort has just one bastion remaining among the many, which is located near the highway to Uran. This fort was supposed to be built by the Siddis of Janjira between 1560 and 1570. The fort was recaptured by the Portuguese during 1682, which also controlled the entire region under the Siddis, near Belapur. It later came under the control of the Marathas, who ruled the region until 23rd June 1817, when finally the fort was captured by the British East India Company. The British destroyed the fort partially due to their policy of razing any Maratha rule in the area. There is an underground tunnel at this fort that is believed to connect the fort with Gharapuri Island, which has the famous Elephanta Caves. 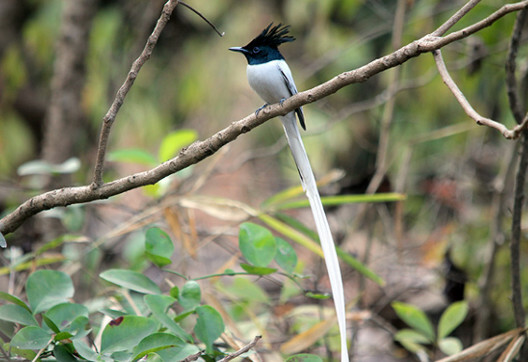 At the beginning of the monsoon season, travellers can spot the paradise flycatcher with its fairy-like white streamers, the shama or the magpie robin and the Malabar whistling thrush. Two rare species of birds, namely Ashy Minivet and Malabar Trogon can also be seen at this site. 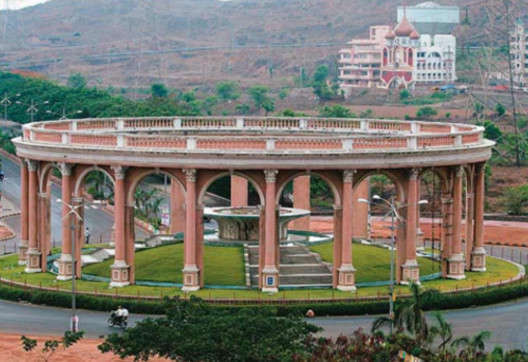 The sanctuary is situated on the Mumbai-Pune Highway connecting the destination with Goa and can be ideally visited between the months of October and April. The sanctuary can also be visited during the monsoon season. Tourists can watch the racket-tailed drongo, golden backed woodpecker and heart-spotted woodpecker, among others. In the winter season, many migratory birds can be seen in addition to the resident birds. The migrant birds include a variety of birds such as the blackbird, blue-headed rock-thrush, bluethroat, red breasted flycatcher and black headed cuckoo-shrike, to name a few..